Advanced analysis of solar cells including light I-V and Suns-Voc data. Capability to accurately measure high-efficiency conventional or backside-contact solar cells. One-sun or concentrator instruments available. 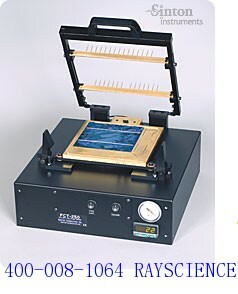 designed to have the highest possible accuracy for measuring high-efficiency silicon solar cells. This is accomplished using a patented multiflash technology. The standard analysis includes the commonly reported parameters for cell testers, but is supplemented with the Suns-Voc analysis that precisely indicates the source of power loss due to shunt and series resistance effects. The CCT family of concentrator testers allows the user to view the efficiency versus intensity curves and light I-V curves at multiple intensities based on a short automated series of measurements. The uniformity of the FCT-350 is Class A (±2%) over 156 mm x 156 mm.